All Ultraspin systems are now tested with sunshine. 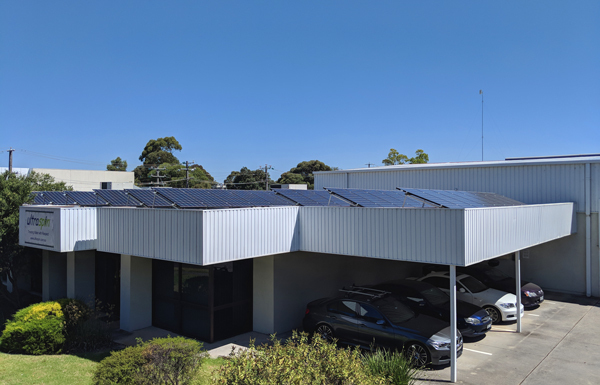 We have just completed installation of a solar system to provide power to our office and factory. With 27kW of power production we will be able to fully power our daily operations with clean energy from the sun. We will soon also be installing a large battery bank which will take care of our power usage overnight. Upgrades over the past 6 months to energy efficient light fittings in the office and factory mean that we will be producing excess power during the day. This excess will charge up our batteries during the day and the batteries will be able to provide power over night. 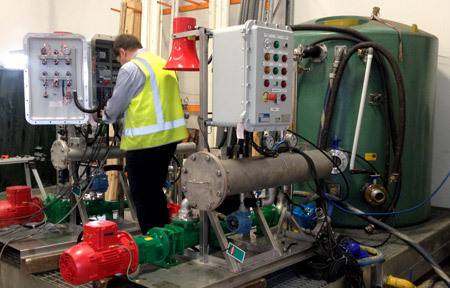 In combination with our recent installation of a rainwater system this means that factory testing we perform on all of our equipment is now renewable and self powered. Contact us if you would like to see our factory testing setup for yourself. You’ve worked with us, now meet the Ultraspin team!